The most trusted and oldest winmail viewer on Appstore. Supports ioS10, iOS9, iOS8 iOS7, iOS6 and iPhone 6,7, iPhone 6,7 Plus, iPhone 5 , iPad mini, iPad Air!! I am currently blighted by winmail.dat attachments in Evernote. 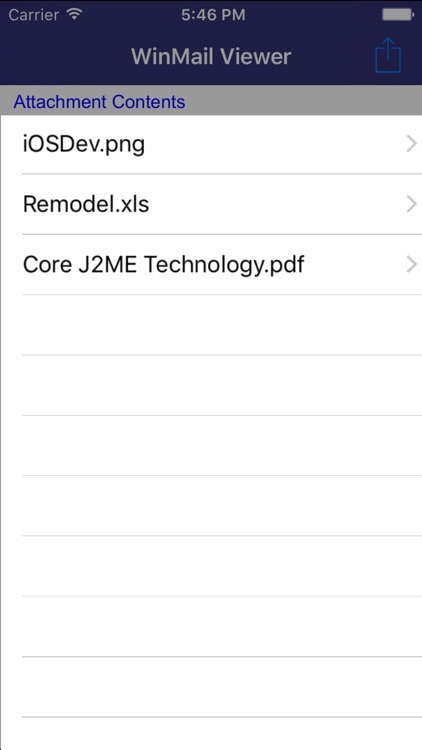 I can now open the winmail.dat attachment with this app from within Evernote and the open the "proper" attachment back into Evernote (and save it) with just a couple of clicks. Especially useful when a PDF is wrapped into a winmail.dat. Please note that, there is no need to open the application directly by tapping on application icon on device. 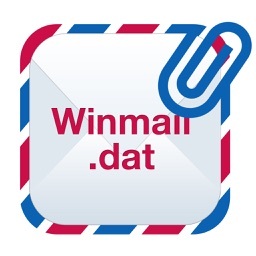 ON installation, It get registered as an addon for mail application, you just need to tap on winmaildat attachment in your email which will the open the application with the content of your attachment. 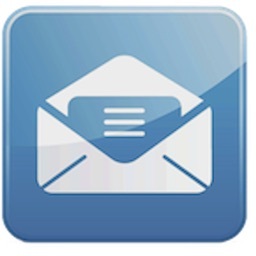 1) Open up the email and touch on the icon of the winmail.dat file. 2) You will see the "Open in Winmail.dat Viewer" screen using a short tap; if not then keep touching the icon till the whole box darkens. 3) Once you keep touching the icon (on left side) itself, after a couple of seconds, a 2-choice menu pops up from the bottom. 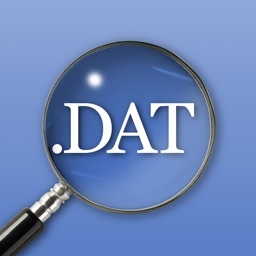 4) Click on - "Open in Winmail.dat Viewer" app. The winmail.dat file will then open, showing the attachments inside. 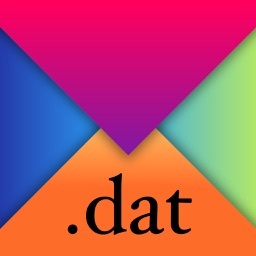 Kindly give good ratings and reviews if you like this application. Thank You!! 1) ON SOME DEVICES APPLICATION MAY REQUIRE REBOOT AFTER INSTALLATION. 2) IF ATTACHMENT SIZE IS LARGE THEN IT MAY TAKE SOME TIME TO OPEN IT IN VIEWER. 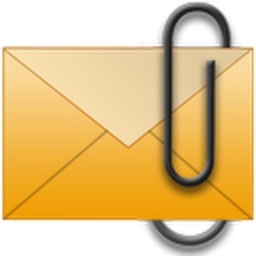 Do you have winmail.dat files in email attachments and you are iPhone user ? viewing their contents is painful task of downloading them to Mac then open them? This application allows you to view and extract contents of those winmail.dat messages (which are TNEF-encoded messages) in flawless way. That means if you receive winmail.dat on your e-mail, then with 'Winmail.dat Viewer' you can view the rich text message contents and attachments embedded into this file using the appropriate software/app. You may receive winmail.dat files from the senders who are using Microsoft Outlook (1997, 2000, 2003, 2007, 2010). 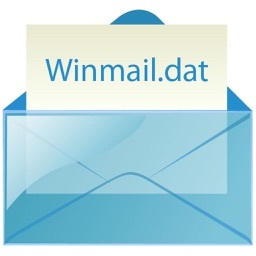 Winmail.dat contains all attachments and rich text message, and not all e-mail clients can recognize its format. Winmail.dat Viewer is the solution . 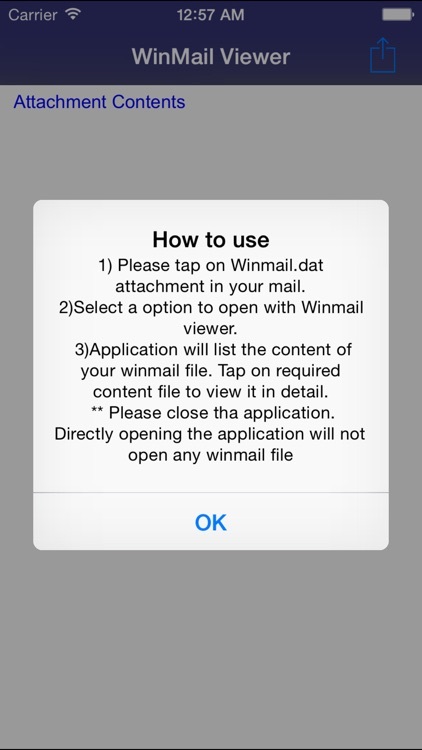 PLEASE NOTE: The "Winmail.dat Viewer" app will open ONLY a "winmail.dat" attachment. Option to disable this feature is also provided in settings of the application.